Tony was long time assistant trainer to Peter G Moody at Caulfield for 13 years who he learnt his craft from. 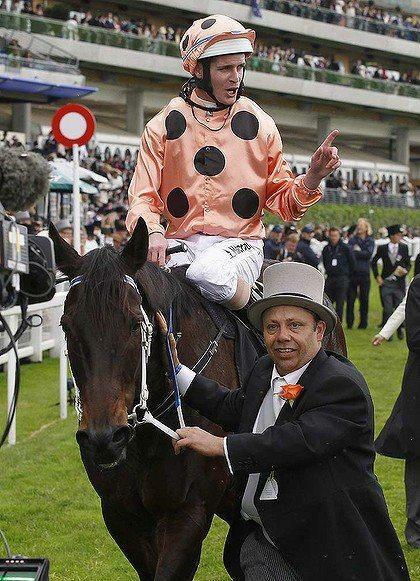 "As a 'right hand man' to Peter Moody the Black Caviar experience was beyond anything any of us could have imagined to travel with her to England and the whole Royal Ascot experience was unbelievable. She gave us all the experience of a lifetime and what she did for horse racing was phenomenal. Also to be with 'Moods' from the early days to what he achieved - I am forever thankful for the experience." Tony started in racing as an apprentice jockey he was indentured to Bill Mitchell at Eagle Farm where Peter Moody was foreman, Tony rode a lot in the Toowoomba & South East Queensland region as well as a stint in Mount Isa. As an apprentice jockey Tony rode four winners in one day - the first at Doomben for John Hawkes then onto Toowoomba and rode 3 that night, he also highlights riding eventual Group 1 winner Special Dane in his maiden win at Toowoomba where he streeted the opposition by some 10 lengths. As a stablehand and trackrider Tony got to ride and travel with General Nediym and he is still one of his all time favourite horses. "General loved racing he just always meant business, he was a natural athlete, I thought he would be the fastest horse I would ever handle and then came Nelly (Black Caviar)"
Tony loves working with the horses he states that "each horse has their different personalities and physical challenges they need to overcome I get a great kick out of seeing each horse win for whatever reason whether it be from pure ability or their will to win. The thrill of winning a race never fades no matter where it may be." Marni studied Horse Business Management at Marcus Oldham College Geelong finished college and went straight to work at Newhaven Park Boorowa to work with the yearlings and broodmares. She moved to Melbourne and worked for Mitty's Of Queen Street for three years before going on to work for the Freedman Brothers at Caulfield as their Secretary for two years during which time they won the Melbourne Trainers Premiership and were enjoying success with the likes of Don Eduardo, Ugachaka, Barkada, Scenic Warrior etc. On the Freeedman's move down to Rye, Marni stayed at Caulfield and took the role as secretary for Peter Moody who had not long moved down from Queensland, she stayed on at Moody Racing for 11 years where the stable enjoyed incredible success with multiple Melbourne Trainers Premierships & some wonderful horses the likes of Black Caviar, Typhoon Tracy, Manighar, Reward For Effort, Magnus, Dissident etc.